Right that is it, Oasis are finally no more. Like Joe DiMaggio’s legendary Number Five shirt, the name has been officially retired. Well, he has come up with something else, and it’s only a little bit ridiculous. Ladies and gentlemen, please give a warm welcome to Beady Eye, the new name for the band featuring Liam, Gem and Andy Bell. Right off the bat Beady Eye feels perfect for Liam. He has the eyes. As anyone who has ever been scrumming down the front of an Oasis gig will tell you, there’s something about the frontman’s stare that is compelling: part magnetic, part maniacal; so you can understand, with its crow-like connotations, why Beady Eye got the nod. Yet this is supposed to be a band name, and something about Beady Eye doesn’t sit right. You can’t chant it without sounding like you’re supporting a non-league football team (and surely Liam is aiming to get back to the stadiums) and its T-shirt potential feels somewhat limited and possibly even slightly sinister outside of gigs (perhaps they should have gone for the more text message friendly BD-i). Plus we’re all waiting for Noel’s verdict – or better still, sarcy version – and Beady Eye feels a bit like a full toss that’s going to be walloped for six (can I get a fiver on him calling them Gammy Leg by the end of the summer, please?). Admittedly a lot of people thought Oasis was a ropey name when they first emerged in the early 90s, yet now it looms over British music like a giant, so I won’t be surprised if in five years time we learn to stop worrying and love the ‘Eye, but the initial reaction is: great potential album title, even better sunglasses spin-off from Pretty Green, but terrible band name. However, it feels like the band are on the right path. 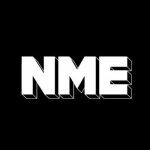 As the news broke earlier in the week, NME Radio’s Jon Hillcock got listeners to suggest some very plausible body part-related names that Liam and co could consider. Fat Lip, Tennis Elbow, or even my own favourite, Square Jaw? See anything you like Mr Gallagher?